The friability tester has now become an accepted standard throughout the pharmaceutical industry for determining the resistance of uncoated tablets to the abrasion and shock experienced in manufacturing, packing and shipping operations. 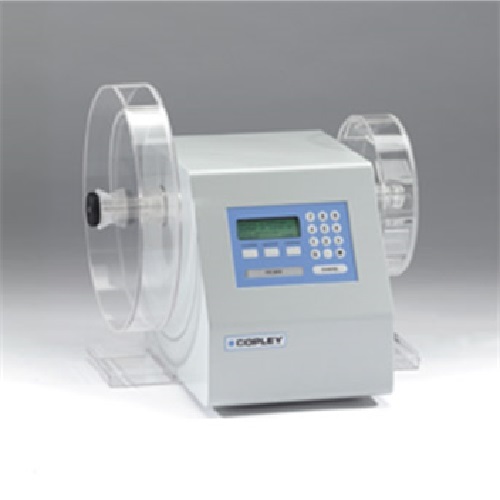 Friability Testers FR and FRV Series are designed in accordance with the specifications as laid down in Eur. Ph. Chapter 2.9.7 and USP Chapter <1216>. The standard FR Series operates at a constant speed of 25 rpm +/- 1. It is available in two variants, with either one (Model FR 1000) or two (Model FR 2000) test drums. Similar in construction to the fixed speed FR Series, the Friability Series FRV differs only in having variable speed between 20 and 60 rpm. 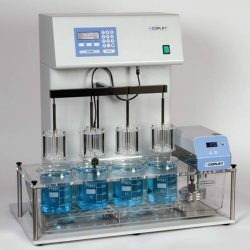 In order to meet your individual requirements, Copley provide a three tier approach to regulatory compliance and validation. Each Friability Tester is checked by our quality control department prior to despatch and supplied as standard with a Certificate of Compliance documenting the test protocol used and certifying conformity with the appropriate Pharmacopoeia. 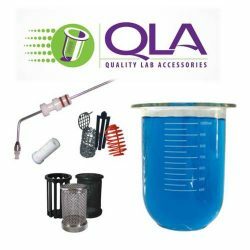 In addition to this general Certificate of Compliance, some of you have asked us for specific certification on certain critical components, for example, the Friability Drum. If you require this additional service, please refer to the appropriate ordering information on Numbering and Certification. This service includes the numbering of the individual component concerned and the provision of a detailed certificate indicating the actual measurements relating to that component and the metrology equipment (and its traceability) used in measuring them. Finally, all systems are available for our engineers to come on-site to perform fully documented IQ/OQ. Designed in accordance with the specifications as laid down in Eur. Ph. 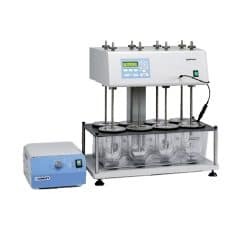 Chapter 2.9.7 and USP Chapter <1216>, the FR Series forms the basis of our range of friability testers for uncoated tablets. 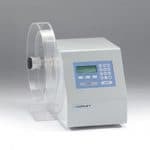 The standard FR Series operates at a constant speed of 25 rpm +/- 1. It is available in two variants, with either one (Model FR 1000) or two (Model FR 2000) test drums. Similar in construction to the fixed speed FR Series, the Friability Series FRV differs only in having variable speed between 20 and 60 rpm. 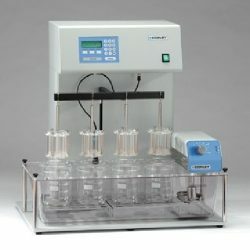 The speed is controlled via the membrane keypad in steps of 1 rpm. 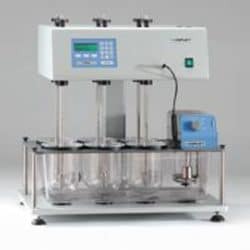 The variable speed allows the operator to subject the tablets under test to varying stresses and therefore determine an optimum for each type. 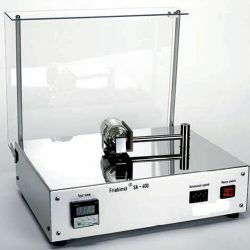 As on the FR Series, the duration of the test can be selected in either revolutions of the drum (1 – 999,999) or time (up to 99 hours, 59 minutes, 59 seconds). 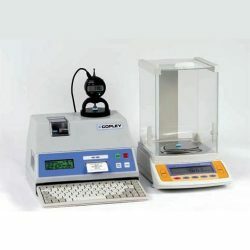 During the test run, the nominal test duration and remaining test duration, in either revolutions or time, is indicated on the LCD screen, together with the selected speed. The control of all models is provided by a membrane keypad linked to a 4-line 20 character back-lit LCD screen. completion of the test, the drum stops and then reverses automatically emptying the contents of the drum into the waiting collection tray(s). and/or Abrasion Drums. Dual drum units can, for example, be fitted with one Friability and one Abrasion Drum, thus allowing comparisons to be made between the two parameters under identical test conditions. basing the result on the mean of the three tests. Call us on 051 392 391 with your instrument problems and we will recommend a solution - advice is FREE! 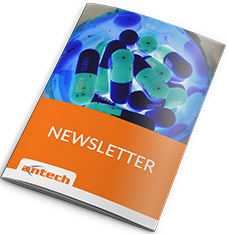 Sign up to our newsletter for the most up-to-date development of products, industry news, special offers and much more!